"Looks like a pie, cuts like a pie, and tastes like a little bit of Southwestern heaven. 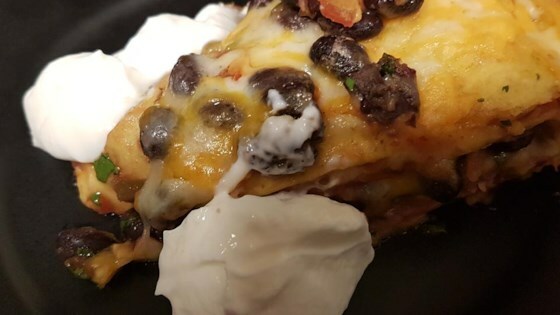 This casserole is made from pinto and black beans layered with tortillas and cheese. Picante sauce gives it just the right kick. You can replace the Cheddar cheese with Monterey Jack if you like."